This Nexera bookcase has eye-catching design and durable features. Store your favourite books, knick-knacks, photographs, and other items in its top-notch open storage design. Thanks to the sturdy construction of this Nexera standard bookcase, your items will be well-protected and organized. 19-inch x 56.63-inch x 18.63-inch 4-Shelf Solid Wood Bookcase in Black This Nexera bookcase has eye-catching design and durable features. Store your favourite books, knick-knacks, photographs, and other items in its top-notch open storage design. 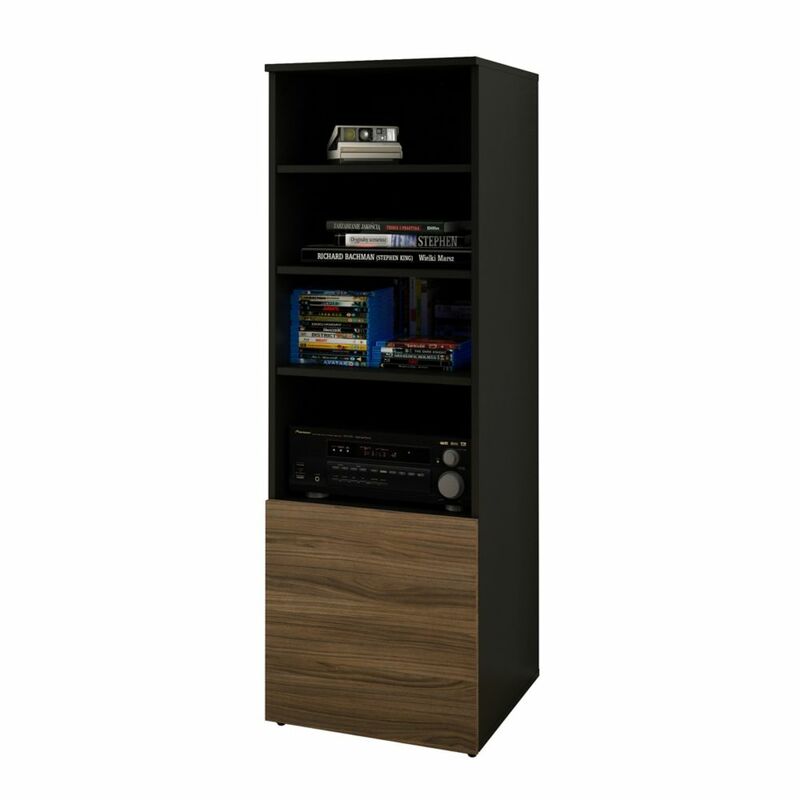 Thanks to the sturdy construction of this Nexera standard bookcase, your items will be well-protected and organized.